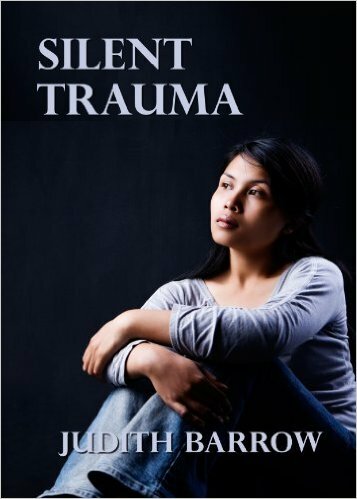 Judith Barrow wrote this book to bring attention to the trauma sufferered by the victims of the drug Diethylstilboestrol (DES), given to women between the years 1949 and 1971. It was prescribed to prevent miscarriage, but had a devastating effect on the daughters – and possibly the granddaughters – of the women who took it, meaning that they had miscarriages, too, cancers of the reproductive organs usually associated with older women, and other problems to do with that part of the body. Unlike with Thalidomide there has been very little publicity about it, and the women who campaigned for what they had been through and why to be recognised, faced many brick walls. I think writing a novel about it is such a good way of letting people know about the ongoing tragedy; I would not read an article about it, but I read this. Silent Trauma follows the lives of four women affected by the drug, and the friendship that forms between them: Meg, whose daughter Lisa took her own life; Rachel, whose husband left her because of the change in their marriage due to her depression caused by several miscarriages; Avril, a recluse whose life was shattered by cancer in her teens; and Jackie, caught in a difficult and violent relationship with a woman, herself a product of a difficult upbringing. Aside from the main purpose of the book, I enjoyed reading about the four women very much; it’s a well written, well planned story. The characterisation is terrific, and the situations so real. I’ve read Judith Barrow’s nostalgia orientated, warts and all family sagas set in the north of England during the 40s, 50s and 60s, but actually liked this more. I read it in one sitting. Speaking as one who has never had the urge to have children I cannot imagine how it must feel to want them so badly that you feel like less than a woman if you can’t reproduce, but all the emotions were painted so vividly that I felt everything the characters went through, and the situations were met with great understanding and sensitivity. Fantastic review and a book that more than deserved to be written. One courageous and excellent writer and a fantastic reviewer. Great combination. Congratulations to Judith and thanks Terry for the reminder.